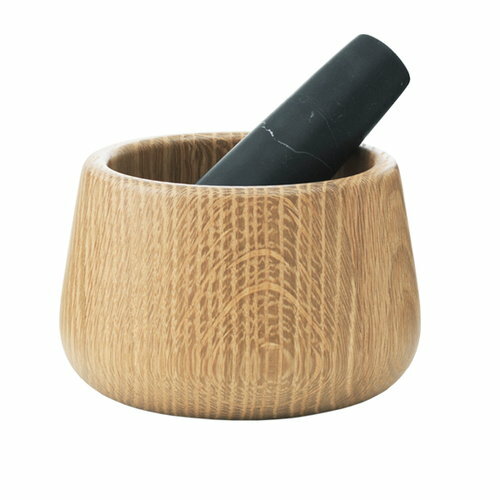 The Craft Mortar and Pestle is made of exclusive and durable natural materials. 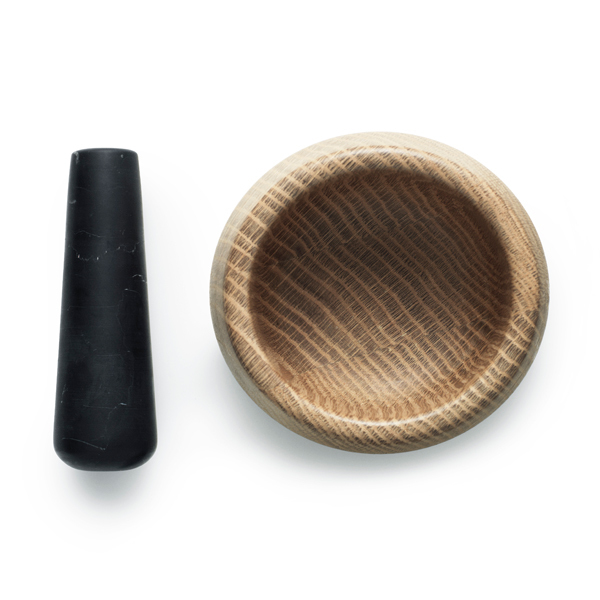 The mortar is solid oak and pestle is made of robust marble. The shape of the pestle ensures a comfortable grip when using it. The Craft kitchen tool series is designed by Simon Legald.